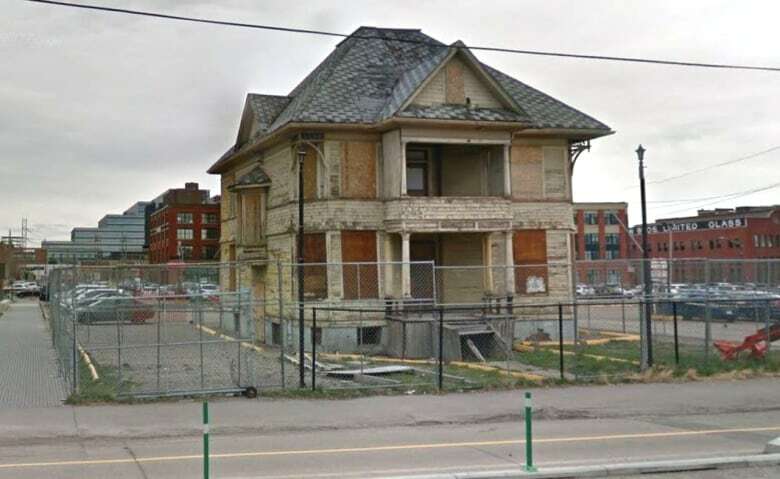 The destruction of one of Calgary's last pre-First World War homes should be taken as a warning, a heritage advocate says. Josh Traptow, executive director of the Calgary Heritage Authority, says the city must put more effort into maintaining what historical buildings remain before they're also lost unexpectedly. On Saturday, the 115-year-old Enoch Sales House went up in flames and could not be saved. After sitting vacant and dilapidated for decades, it had been earmarked for restoration and relocation without ever being given historical designation. "At the end of the day, this is a classic example of 'demolition by neglect' by countless owners over the last 20 years," Traptow told the Calgary Eyeopener on Monday. Investigators are trying to determine what cause the fire. The temperature at the time was –17 C.
The president of Calgary Municipal Land Corporation, which owned the house, says he understands someone had broken into the home by making a hole on its west side. "Someone had climbed into the building to get out of the cold and actually lit a fire, my assumption is, to stay warm," Michael Brown told reporters Monday morning. "My assumption is that fire got away from them, and the good news is that individual got out of the building, and that, unfortunately, a significant aspect of Victoria Park was lost." The Calgary Fire Department is still investigating to formally determine the cause of the blaze. The classic Queen Anne Revival-style home at 314 12th Ave. 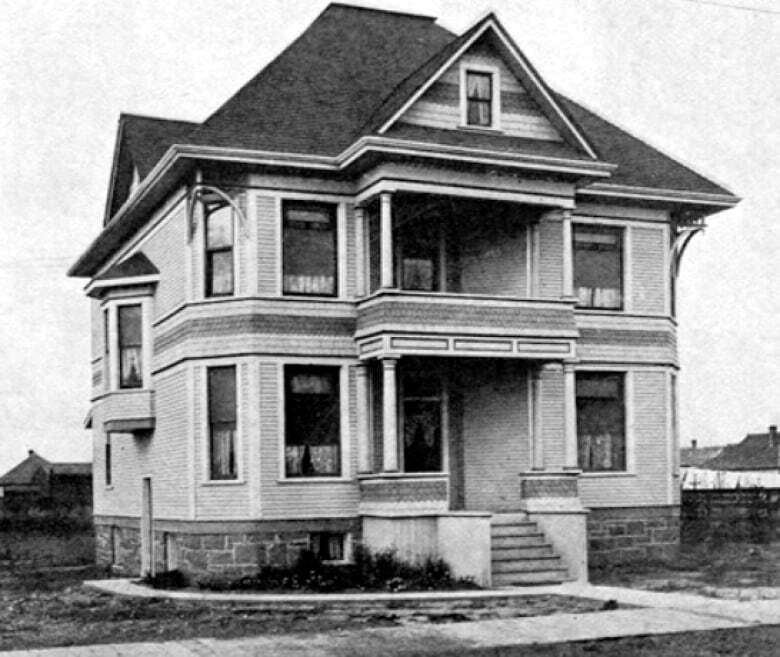 S.E., near Macleod Trail, was once a ritzy mansion with stained glass windows, gable walls, classic columns and solid wood railings and doors. It was built for successful business man and clothing entrepreneur Enoch Samuel Sales in 1904. The residential neighbourhood was later demolished but Enoch House remained, sitting alone in an empty parking lot with peeling yellow paint and boarded up windows. It became a landmark against the contrasting backdrop of the modern Bow Tower. The corporation bought the house, and the valuable 1.57 acres it sat on, for $14.6 million in 2015. The most recent inspection was completed the Thursday before the fire, Brown said, and no issues were found. The debris from the blaze "has significant asbestos in it," he said, so the agency needs specific approval to clean it up. Nothing of historical significance survived, he said. "The significance of the building was more the story associated with the building rather than key elements of, say, the front facade," Brown said. The building had no historical designation but had been slated for preservation for years. CMLC struggled to find funding for the restoration project, which included relocating the building, with its $3-million price tag. There was another pitch, Brown said, to build a replica for $1.9 million. The "biggest challenge" to developing historical buildings, Brown said, was accessing government grants, tax credits or other incentives to make redevelopment financially viable. Traptow and other advocates had urged CMLC to tap into the community revitalization levy, especially considering the Victoria Park area is slated for extensive redevelopment in the coming years. He thought CMLC and partners, which were recently consulted about the house, were "moving in lock-step" toward getting money from the levy. Unfortunately, he noted, it was not fast enough. "Had the building had a proper use, if it had been restored, it's quite likely that this fire would have not taken place," Traptow said. 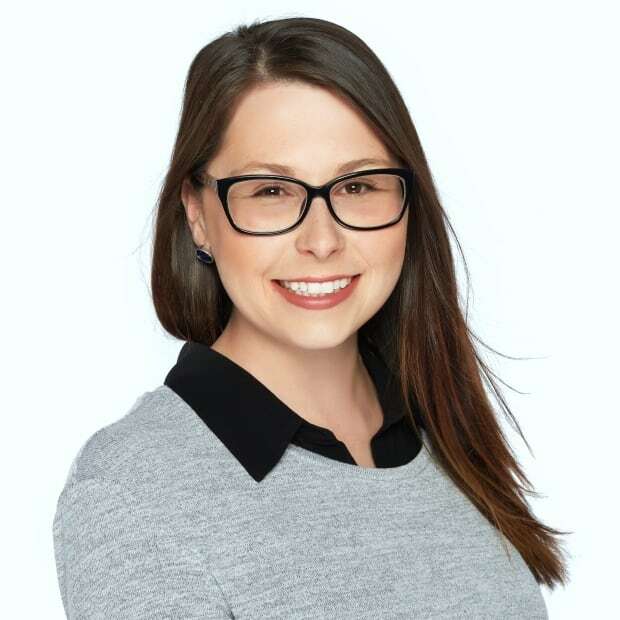 "So I'm hopeful that, as much as this is a terrible thing to happen, that it might spur conversation in terms of what other tools or incentives can the city develop to incentivize heritage owners to restore and maintain their heritage properties." By the time it burned down, Enoch House was the last surviving example of the homes that populated what had been an upscale and desirable residential neighbourhood at the end of the 19th century. The area then transitioned into a working class community. After the original owner's death, Enoch House was turned into a boarding house and then apartments. Other homes nearby were demolished in favour of skyscrapers and more modern buildings. Enoch House later fell into disrepair and attracted squatters before sitting empty for the past two decades. "Structurally, it was a very weak building," Brown said. "It went up almost like a house of cards." Brown said he didn't think the house was neglected under CMLC's ownership, and noted the group put effort into shoring the foundation and saving it. He compared its state to the King Eddy, which he said was left for so long, it was "crumbling before our eyes." "What I regret is that we ran out of time," Brown said. This should be a lesson, Traptow said, to others who own local historic buildings, designated or not, to prevent future architectural tragedy — and he also suggested financial incentives would help. He said he and others in the heritage community were not shocked to hear of the house's demise by fire. "Just its location, the fact that it was a derelict, vacant building — and I think a lot of us are actually surprised that it lasted this long," he said. Past owners long promised to move and restore the Enoch Sales House. In 2011, then-owner Dan Van Leeuwen said he thought the home could be turned into a high-end restaurant. He noted at the time that many homes in Victoria Park had been lost because they were dilapidated and used for "all sort of nefarious purposes." Brown said CMLC will look at other options to preserve the story of Enoch House. The agency had insurance for life and safety but not to replace the house. With files from Scott Dippel, Josie Lukey and the Calgary Eyeopener.